Tonight is Futurama’s 100th episode (or 110100th if you’re a fanboy). It’s also their season finale. 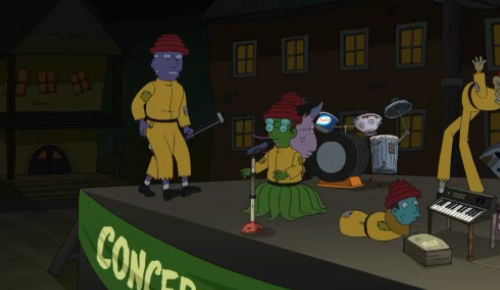 In honor of the occasion, the mutants from the band Devo play their hit song. No. Not Whip It. The other one.